Want to drop everything in this stuffy town and get away from the August heat to the beach, close to the water, but can not? Offer a look at our selection - possibly desire disappears. 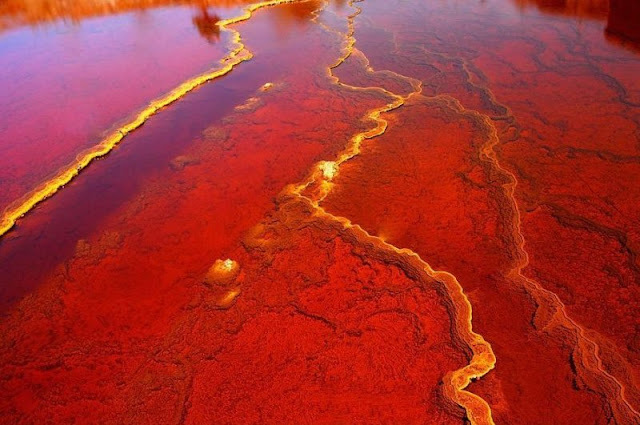 Red like blood, water of the Rio Tinto, which has its origin in the Spanish province of Huelva and flowing of Andalusia, unattractive, not only externally. 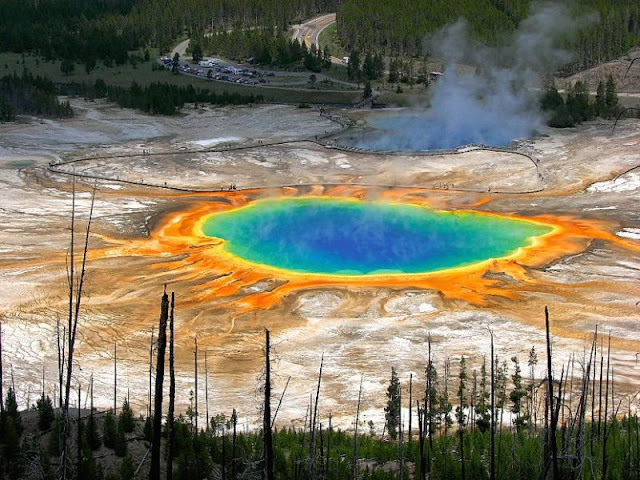 Due to the high concentrations of metals originating from copper, silver and gold mines, this body of water got fame as one of the most acidic sites in the world.Water, pH-factor which varies within 1.7-2.5 and practically corresponds to the acidity of gastric juice, dangerous for any living creature. The only inhabitants of "Martian rivers" are favorite scientists aerobic bacteria extremophile, eating iron. A few years ago, according to the instructions of the President of the Russian Federation, marshy lake black hole, located between Nizhny Novgorod and Dzerzhinsk, should fill with sand and bulldoze. The reason for such barbaric attitude to the pond is simple - the object of the socialist heritage, Solid waste plant "Plexiglas", recognized as one of the most polluted in the world. The stench emanating from the black hole is so strong that even interrupts fumes from fires covering Russia during the hot summer days, and the fluid that fills the lake, and at all resembles a caustic black resin, sucking all life. More recently, one hour spent on the shores of Lake Karachay in the Urals, was enough to meet a painful death due to exposure to 600 X-rays. 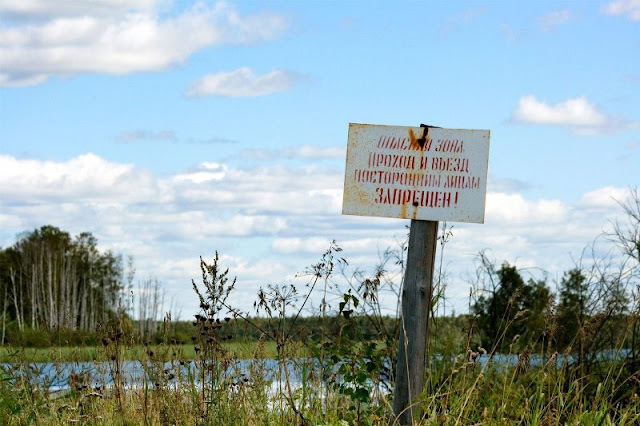 All the fault of the explosion, which occurred on the storage of fissile materials plant "Mayak" in 1957 and was the cause of the unprecedented pollution of the river Techa cascade and its ponds. Although every year the company receives several million rubles for disaster management, groundwater continue to spread deadly radiation. Fortunately, according to recent studies the situation in the area of Lake Karachay is gradually improving. Danger of the deepest rivers in the world, which is considered one of the seven natural wonders of the world, is not only in its power. 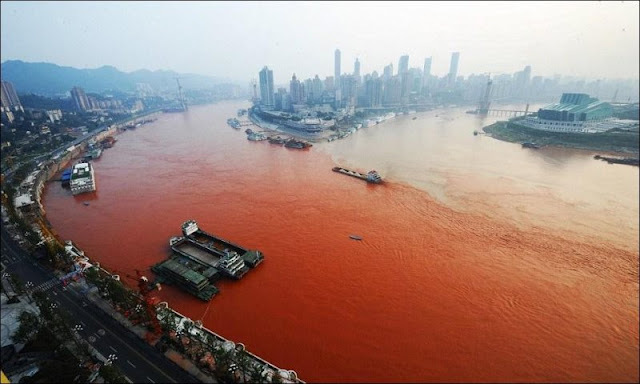 Artery, every second pouring into the Atlantic Ocean about 220 thousand cubic meters of water, and awarded the title "River Sea", is teeming with bloodthirsty monsters. 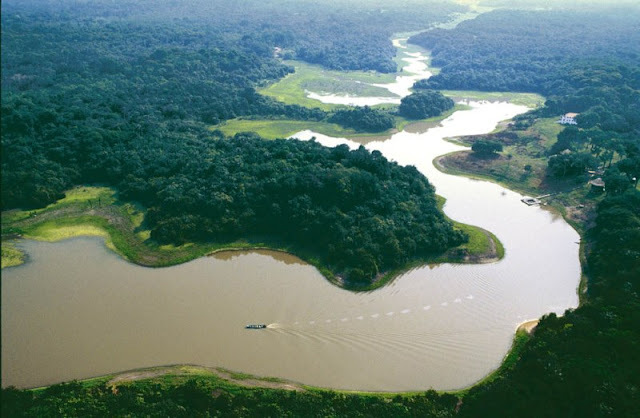 Here live voracious piranhas, ruthless black caimans, enormous anaconda, giant carnivorous Arkaima and small, but no less terrible candiru parasites that enter the urinary system. Amazon is full of impassable swamps and bogs deadly, and its spill forming high tidal waves, devastating for fields and villages. On the lake, located near the valley of despair in the Dominican National Park Morne Trois Pitons, walks notoriety. If inadvertently plunge here in the dry season, you can easily boil alive, echoing the way overbearing king of "The Little Humpbacked Horse". 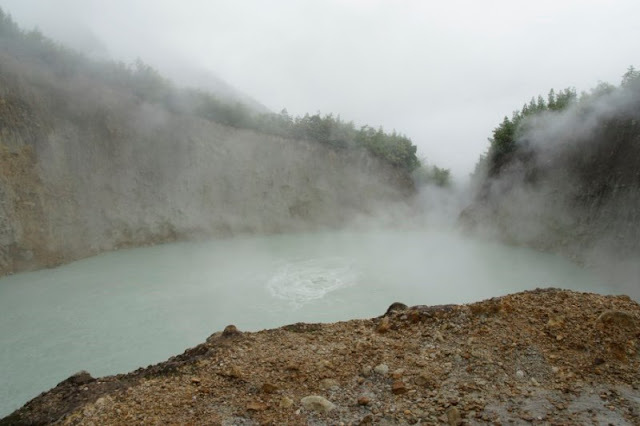 The water temperature in the center of the Boiling Lake, enveloped in thick white vapor reaches 92 ° C and is suitable except for tea. This body of water was the cause of so many accidents, even in the rainy season, when the lake is relatively cool to swim here is strictly prohibited. Indian epic "Ramayana" says that the waters of the sacred river Ganges have the power to return the dead to life and get rid of ailments. Unfortunately, the reality is far from the myths: the main river of India is included in the list of the most fouled waters of the world. 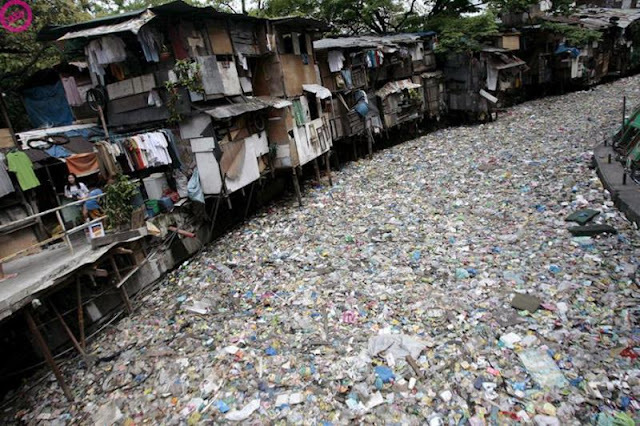 Flocking here many production waste and feces coming from the overcrowded cities. Even bathing in the Ganges, the number of enterobacteria which is 120 times higher than normal, leading to infection and each year causes the death of thousands of people . 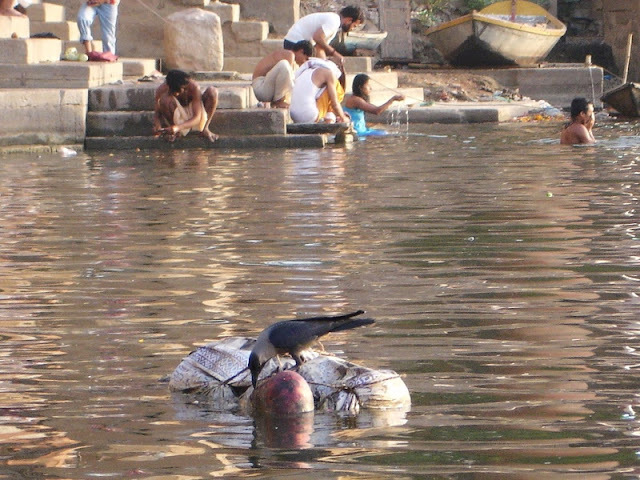 Among the problems that could interfere with purification of the sacred pond, and added a ritual burial of bodies in Varanasi. In the XIX century Onondaga Lake, located near the American Syracuse, was a popular place to stay.A century later, the pond, fell under the impact of technological "progress" on the brink of ecological disaster. In 1901, Onondaga water saturated due to the discharge of industrial waste nitrates, phosphates, mercury, and pathogenic bacteria, banned the use in the food industry. In 1940, it was vetoed by bathing, and in 1970 - and fishing. After the ban on waste disposal, sewage treatment facilities and installation of the enactment of clean water to the lake situation is gradually improving, but cleaned the pond for a long time. With the advent of advanced technologies along the shores of the once beautiful, now one of the most intoxicated in the nature of rivers, located on the island of Java, has grown more than five hundred plants. Pond, first served source of income for many fishermen, has been home to other hunters - hunters debris. Muddy water, teeming with bacteria and invisible under a thick layer of household and industrial waste, is still used for drinking and irrigation. 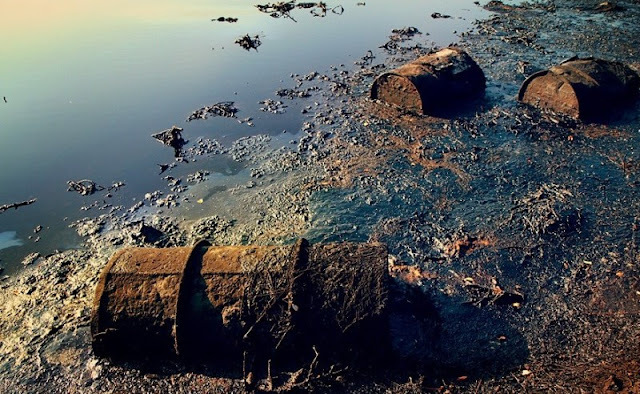 Scientists predict that in the coming years Tsitaruma pollution reaches a critical level, and may lead to a shutdown of the largest hydroelectric power station in Java. Blogs are created with good ideas and language helps the readers to improve language and also the thought. This has every important point and the topic selection is very creative. A good topic attracts the readers to know more about the topic. Thank you for the wonderful post. Visit panseva to get a new PAN card. This blog has offered something new to the readers. A new perspective is very interesting to the readers like us.